Example found on 03/03/2019 05:00 AM o'clock. If you choose a different rental period, the price can deviate from the example. This offer was found on 03/03/2019 05:00 AM. This offer was found on 03/01/2019 02:26 AM. I had a small accident with my car that was not my fault thankfully i booked without excess! Sydney Airport, also known as Kingsford-Smith Airport, is the busiest airport in Australia. Last year alone, approximately 38 million passengers and 330 thousand aircrafts were serviced by this major hub for travel. Passengers arrive at Sydney Airport for many reasons: frighteningly beautiful panoramic vistas from the Harbor Bridge, world-class performances at the famous opera house, exploratory walks through enchanting boroughs, and beaches with surging waves perfect for surfing. 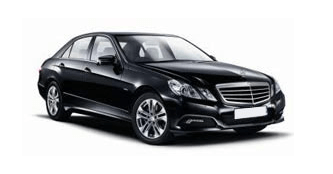 HAPPYCAR offers various attractive options for a Sydney airport car hire so that wherever you decide to go, you take control of your travels. We check the prices of international and local providers so that you don’t have to check each website to provide you with the best deals on car rental Sydney Airport to make your money go further on a rental car that fits your specific vacation needs. You have the option of choosing size, pick up location and type of insurance, ensuring that you get the right car for your needs! Sydney Airport consists of three passenger terminals; Terminal 1 is designated for international traffic, Terminal 2 serves as a hub for Virgin Australia, and Terminal 3 services domestic flights. The international terminal recently underwent a 500 million dollar overhaul, greatly increasing the size of the complex as well as updating facilities and services to meet growing demands. Both international and domestic terminals feature free WiFi, extensive shopping opportunities, and a slew of dining possibilities. The airport also offers complimentary showering facilities for anyone wishing to freshen up before their journey. Located only eight kilometers from the city center, Sydney Airport offers a great starting point for you to enjoy the freedom of a HAPPYCAR car hire Sydney Airport. Sydney enjoys numerous sight-worthy attractions for your pleasure. Perhaps the most well-known symbol of Sydney is the shell-formed Opera House. Apart from the main opera theater and concert halls, the facility also contains several theater rooms, restaurants, and bars. Directly across from the Opera House is the famous Harbor Bridge, which connects Sydney central business district and the North Shore. The bridge may be traversed by pedestrians, who, if they wish, can book a tour to the summit of the imposing structure. If you wish to explore the beautiful shores of Australia, you can take the legendary Pacific Highway northbound to Brisbane. The 12 hour drive is well worth it due to the many wonderful sights, towns, and pristine beaches found along the way. You can also head in the opposite direction towards the city of Melbourne, approximately 1,000 kilometers southwest of Sydney. The drive will take you along the Pacific Ocean, Tasman Sea, and Bass Strait, which have carved out vivid headlands and formed beautiful coves and beaches. Book now with HAPPYCAR and take full advantage of the flexibility and freedom of your rent a car from Sydney Airport. Our quick and hassle free service provides you with a great springboard into your adventures. The HAPPYCAR team wishes you a pleasant journey!